Leiden University Libraries has two remarkable fortification plans in its collections. They depict the village of Bimilipatnam under VOC rule. After a ransack by plundering Maratha troops in 1754, the local Mughal-regent allowed the Dutch to construct a stronghold in the village. VOC-authorities commissioned military engineer Coenraad Pieter Keller to survey the plot of land allocated to them and deliver plans and a proposal how this fortification could be constructed. The eventual fort was poorly constructed and collapsed two times. Keller was scapegoated by his superiors. He did not let the allegations pass and defended himself at Batavia. 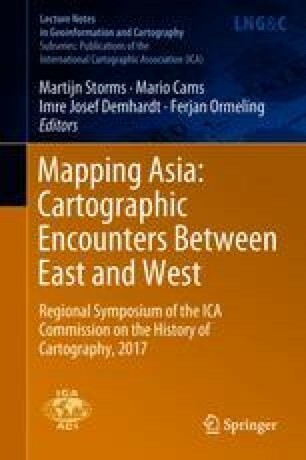 His written apologia has been preserved and provides unique insights in the career of a hybrid mapmaker in colonial service. By careful archival research we can reconstruct the context in which the plans were produced, interpreted by their intended audience and circulated until it was acquired by Leiden University Libraries.